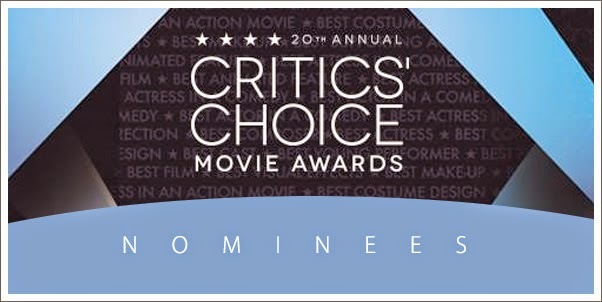 The Broadcast Film Critics Association's list of nominees for the annual CRITICS CHOICE AWARDS were announced this morning. There are no huge surprises in the BEST SCORE category, as hose with the most "awards-buzz" to date find themselves nominated. We have conveniently put at the top of the nomination list for you. You can tune into the live awards show on January 15, 2015 at 9 PM ET on A&E. So what do you think of these noms? Predictable? Acceptable? Outrageous-able?